THE contrasting fortunes currently being experienced by Nigeria's John Mikel Obi and Victor Moses at Chelsea Football Club is of great philosophical significance which both players and the rest of us can learn from. 1. To moderate our celebrations and not become arrogant when life works smoothly for us because we don't know what the future has in stock. 2. To not give up when life gets rather difficult because there's always a chance that things would turn around for the better. As recently as last season, Mikel, in his ninth year at Chelsea was a regular feature in the team's line-up while his compatriot, Moses was virtually lost in the wilderness of successive loan deals to other club sides. This season, however, Mikel has been completely frozen out of the Chelsea squad by the new manager, Antonio Conte, whereas Moses has flourished in a new wing back role under the Italian. And while Mikel is now contemplating his next career move with China being repeatedly mentioned as a possible destination, Moses, by contrast, is reportedly a target for Lionel Messi's Barcelona! (Don't believe everything that you read). It's not that Mikel has become a bad player overnight while Moses has suddenly become perfect. Both players have their unique qualities which attracted Chelsea to sign them in the first place. The reason their careers have taken different trajectories at the club is because successive Chelsea managers had different opinions about their capabilities and therefore gave them different opportunities. Mikel had been fortunate to receive more of those opportunities over the years, but now its Moses' turn. Before that, Conte had actually told an Italian magazine that he was surprised that previous Chelsea managers had not recognized the wide range of Moses' skills (speed, technique and stamina) and used him accordingly. Obviously, Moses is the man of the moment but himself knowing how much he has suffered to get to where he is now, I hope he will keep his feet firmly on the ground and not lose his head because of the accolades coming his way. Getting to the top is hard, but staying there is even much harder. As for Mikel, his time at Chelsea is obviously running to a close now, but that does not translate to the end of his playing career. His contract expires at the end of the current season in May 2017, but he can take advantage of the mid-season transfer window in January to get on the move. 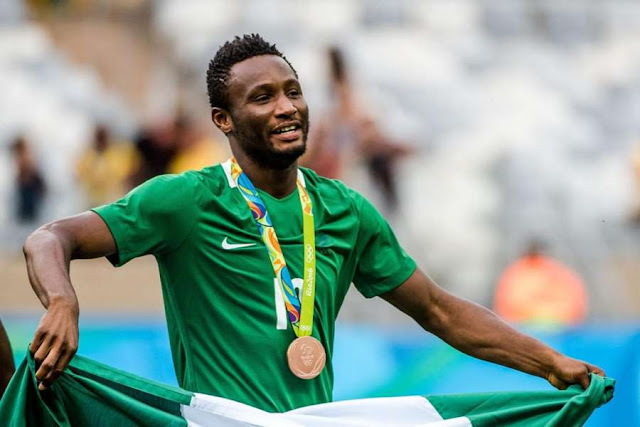 Having spent 10 years at Chelsea which he now regards as “home”, Mikel's major challenge is the dislocation that a move from London will likely cause his young family. China is reportedly offering him big money to come over, but how would that enhance his national team career? Besides, does he want his young children to grow up in that society? Is his wife keen about living there? These are questions Mikel has to deal with before reaching a decision. We have to understand that it's not just about the money or the playing time on offer in China or elsewhere. A lot more, particularly, the comfort and welfare of his family, is involved. I won't be surprised if he's looking to remain in England at another club even for a lesser fee than China will present. Whatever Mikel decides to do (move in January 2017 or stay in Chelsea till May), I believe strongly that his football career is far from over. At 29 years of age, he can still play at least for another six years at the top level if he takes good care of his strong body which is his greatest asset. And, yes, he can still win trophies, too. Several years after Nwankwo Kanu left Arsenal and everyone thought his career at the top was effectively over, he was seen lifting the English FA Cup for unfacied Portsmouth at Wembley Stadium. Just as Moses has found a new lease of life under Conte at Chelsea, Mikel also can still flourish under another coach who will appreciate and effectively deploy his qualities. The lesson to be drawn by all of us from the experiences of Mikel and Moses at Chelsea is that in football, as in life, no condition is permanent. 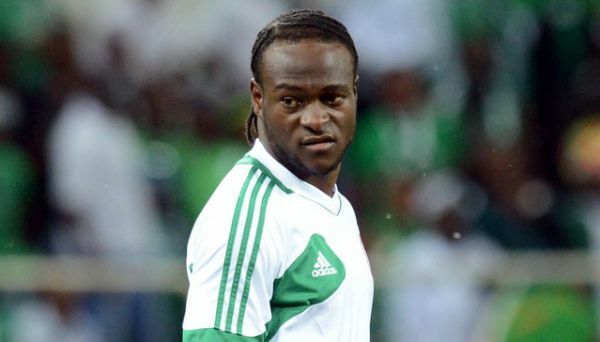 Moses is on fire at the moment, but Mikel is not finished yet either. Hamilton: Fiercely Conceited or Fiercely Competitive? THE top headline news in the sports world last weekend was the conclusion of the 2016 Formula One (F1) season and the emergence of Germany's Nico Rosberg as the new world champion of car racing. Last week in this column, I celebrated British brothers Andy and Jamie Murray and their mother Judy for what they achieved by finishing as world number ones simultaneously in the men's singles and men's doubles of the 2016 Association of Tennis Professionals (ATP) tour. This week, yet another Brit, Lewis Hamilton is up for mention for his involvement in how the F1 season was concluded. I am an avid follower of the sport and I have my views on Hamilton's behavior. But I will only describe the episode for my readers majority of whom I suspect are NOT keen followers of F1 racing, then leave you to draw your own conclusions on the Hamilton and Rosberg rivalry. Heading into last weekend's final Grand Prix of the season in Abu Dhabi, Rosberg (367 points) held a 12-point lead over his Mercedez Benz teammate and rival Hamilton (355 points). With a race win fetching 25 points, second place 18 points and third place 15 points, a third place finish was going to be enough for Rosberg to win the driver's championship as it would take him to 382 points (367+15) whereas the maximum reachable for Lewis even he won the race was 380 points (355+25). Lewis promptly won the qualifying session and secured pole position while Rosberg sat next to him on the grid. Having dominated for most of the season, the two Mercedez Benz cars were expected to complete a straight-forward 1-2 finish. The problem with that for 2015 champion Hamilton was that he would win the race but lose his title to Rosberg. So, he decided to do “something” about it. With 10 laps to go in Abu Dhabi, Hamilton decided to cut down his pace and, back up Rosberg in the hope that the chasing Red Bull and Ferrari cars would catch up with Rosberg and push him down into fourth place! If that happened, Hamilton would retain his title if he won the race. The Mercedez Benz team bosses saw that Hamilton wanted to get Rosberg into trouble and directed Hamilton to speed up, but Hamilton refused. To his disappointment, however, none of the chasing Red Bulls and Ferraris overtook Rosberg who finished the race in second place (18 points) for an overall 385 points. Hamilton won the race (25 points) but his season's tally came to 380 points. The debate in Formula One circles has been on what Mercedez Benz should do to Hamilton for defying team orders. Some fans feel that Hamilton was arrogant, selfish and conceited and should be punished for trying to back Rosberg into trouble, and for defying team orders. 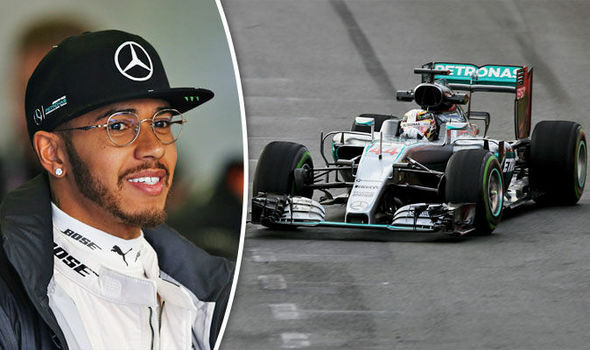 Others feel, however, that Hamilton is a fierce competitor who only attempted, legally, to retain his driver's championship title and should not be punished for doing so. Remarkably, the Mercedez Benz team boss, Toto Wolf, couldn't make a categorical statement when journalists interviewed him immediately after the race. He was livid that Hamilton defied team orders, but he couldn't say whether he would be punished because the circumstances of the disobedience was unprecedented. The F1 fraternity was still awaiting the Mercedez Benz decision at the time of writing this. Meanwhile, Nico Rosberg took the whole episode calmly as he has done all season in the face of several confrontations with Hamilton. Having won his first ever title (his father, Keke, was previously champion in 1982), Nico simply concentrated on celebrating his historic victory, leaving Hamilton (winner of three previous titles in 2008, 2014, 2015) to sulk and sulk. But with the relationship between both drivers reaching boiling point and the lowest depths on account of the latest controversy in Abu Dhabi, it remains to be seen whether they can be kept together in the Mercedez Benz garage next season. * Race winners: Lewis Hamilton (10), Nico Rosberg (9) both for Mercedez Benz team. Daniel Ricciardo (1), Sebastian Vettel (1) both for Red Bull Racing team. * Points System: 1st (25points); 2nd (28points); 3rd (15points); 4th (12points); 5th (10points); 6th (8points); 7th (6points); 8th (4points); 9th (2points) 10th (1point). Others: 0point. * Driver's Championship Winner: Nico Rosberg (Germany) 385 points. * Constructor's Championship winner (Consolidation of points scored by the two drivers in each team): Mercedez Benz with 765 points.